What is Your Favorite Pickup Truck? Do you like Chevy, Ford, Dodge or maybe an import like Nissan or Toyota. Whether it is foreign or domestic the fact remains that America is the most popular pickup truck market in the world. The race to produce the best pickup truck has been tight over the years and produced some major advances in technology, styling and economy. 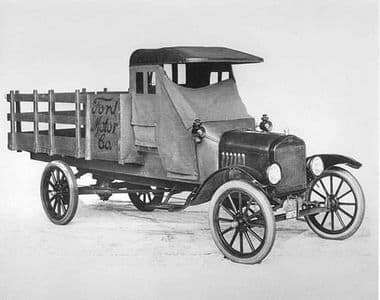 Trucks were introduced as a custom version of Fords famous model T in order to carry a payload. They had a bed-like cargo area and a folding tailgate that was the pre-runner of today’s modern tailgate. It didn’t take long for Chevy to follow suit with a two wheel drive and a four wheel drive version. Since then the race for the best pickup truck has been intense. The military took advantage of the new vehicle design to transport cargo as well as men. Along with Jeeps, pickups were made popular during war times. After the Second World War civilian versions of trucks were made and the automobile craze in America catapulted pickup truck sales. While domestic trucks have always had the market advantage, foreign vehicles like the Toyota Tundra and the Nissan Titan have become extremely popular. The power, fuel economy and styling of foreign trucks have kept up with Ford, Chevy and Dodge to further tighten the full size pickup truck race. Using the current number of internet searches per month on Google, we get some interesting statistics. GMC Sierra and Chevy Silverado combine for about 60,000 monthly searches. Ford f150 and Ford f-150 combine for over 100,000 searches per month. Nissan Titan only gets searched about 30,000 times a month while Toyota Tundra gets 90,000 monthly searches. This is interesting data because it doesn’t exactly match the monthly sales of pickup trucks. So people are researching trucks and then purchasing another truck. It’s a great time for pickup trucks with competition making for some great industry advances.